From left: Democratic Caucus Chairman Joe Crowley, House minority leader Nancy Pelosi, and Representative David Cicilline. WASHINGTON — After nearly two years of brainstorming and not inconsiderable hand-wringing, Democrats have crafted a fresh slogan to close out the midterm elections, one they hope will make it perfectly clear for whom they’re fighting: us. Although it lacks the punch of “Make America Great Again,’’ the bite-sized credo is populist without being fiery. It’s probably inoffensive enough to appeal to all wings of the fractured party. It fits pretty well in a hashtag. 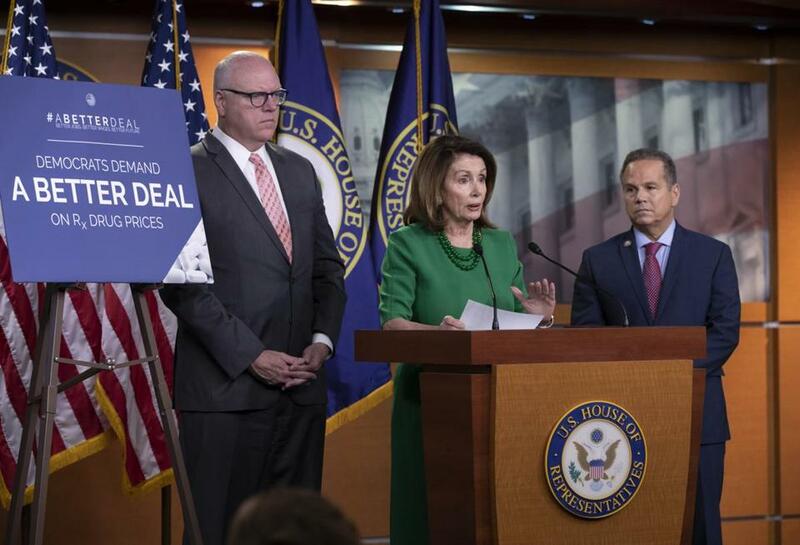 But most important, Democrats believe, it’s catchier than “A Better Deal,’’ the party’s initial slogan that alluded to Franklin Delano Roosevelt’s New Deal while simultaneously eluding simple definition. Still, Democrats can’t seem to win in their attempts at sloganeering. Every attempt only serves as a reminder that the party lacks a clear leader and that it has trouble conveying policy in emotional terms. Hillary Clinton’s “Stronger Together’’ and “I’m With Her’’ of 2016 failed to engage anyone beyond core activists and feminists. Commercial branding experts gave this latest effort mixed reviews. President Trump may not be on the ballot this November, but he’s dominating the airwaves nationally, with more than a quarter of political ads mentioning him. But Adam Padilla, a brand strategist and cofounder of Brandfire, said he thinks the slogan is still too bland to draw attention. He contrasted “For the People” unfavorably to Trump’s “Make America Great Again,” which has proved to be provocative and controversial. Another snag: The #forthepeople hashtag on Twitter is populated with tweets about and by conservative Canadian politician Doug Ford, who won his bid to lead Ontario in June by railing against elites with the slogan For the People. “We’re going to make government work for the people,” Ford tweeted on Monday, announcing his plan to challenge a carbon tax. With fewer than 100 days until the Nov. 6 midterms, House Democrats eager to wrest control of the speaker’s gavel have begun working “For the People’’ into their press conferences, media appearances, and tweets. Minority leader Nancy Pelosi urged her caucus in a letter Monday to use a For the People toolkit to plan branded events this month in their home districts focusing on lowering health care and prescription costs, increasing wages through infrastructure projects, and cleaning up corruption in Washington. “I strongly urge you to OWN AUGUST through public events and a strong presence on social media,” Pelosi said in her letter urging Democrats to plan For the People events. Although the slogan sounds similar to the opening words of the Constitution’s preamble — “We the people” — as well as President Abraham Lincoln’s famous phrase “government of the people, by the people, for the people” — Cicilline said neither were inspirations for the words. “What we settled on is answering the simple question: What do Democrats stand for?” he said. The fact that Democrats are concerned that voters don’t yet know the answer to that fundamental question less than 100 days before Election Day explains why the midterms could still be a nailbiter, despite the fundamentals heavily favoring Democrats. 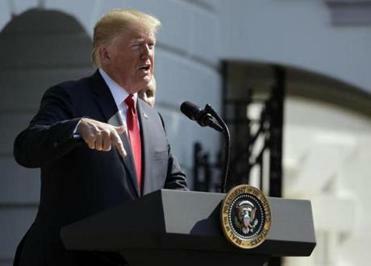 Most political experts believe Democrats will win a narrow majority in November, fueled by Democratic voters’ intense dislike for Trump and the GOP Congress. An average of polls shows that voters favor Democrats over Republicans by 7 percentage points in a generic ballot matchup, and Democrats running in special elections even in ruby-red districts have drastically overperformed compared to two years ago. But the party has struggled to land on a unified message following its stunning defeat two years ago, with Democrats who want to take a bolder leftward turn and tap into the anger of their base running into opposition from party elders and centrists who want to tread more carefully. Representative Ben Ray Lujan of New Mexico, the chairman of the Democrats’ campaign arm, insisted the revamped message is already “connecting” with voters in the final stretch of the campaign. “A Better Deal: Better jobs, better wages, better future” was mocked on the right for sounding similar to Papa John’s (“Better Ingredients. Better Pizza. Papa John’s”), and privately some Democratic lawmakers were not thrilled with the messaging, which they saw as lacking in bite. House Republicans also unveiled a midterm message — “Better Off Now” — that echoed Democrats’, making it even harder for their point to break through. But for the few Democrats who absolutely cannot do without “A Better Deal,’’ there’s a consolation prize. It is not dead, and still appears in tandem on some campaign materials. So far, the “For the People” pivot cannot be said to be catching fire, at least not on the front lines in hotly contested districts, where voters are watching ads and candidates. Just a few lawmakers have tweeted the fresh motto so far. Representative Mike Capuano, who is facing a primary challenge from City Councilor Ayanna Pressley of Boston, has not shown interest yet. “Mike believes we are in the fight of our lives against Donald Trump and he is making the case, one voter at a time, to keep him in that fight,” a spokeswoman for his campaign said.